What is Shichimenchou-Zake? Well, I am not sure if it is an actual word or not, but it means "Turkey Sake." The term "shichimenchou" is the Japanese word for "turkey," and literally means "seven-faced or seven-sided bird." I simply added "zake" to the word, which is often done for sake related words. By turkey sake, I meant sake for Thanksgiving. For Thanksgiving, I opened a number of bottles, ranging from a Lambrusco to a VORS (30+ year old) Oloroso Sherry. I like to have an assortment of wines, something for everyone, as well as enough to last throughout the day. Per my own Thanksgiving wine suggestions, I also opened a bottle of sake, which I have done before for Thanksgiving. I was pleased to see that this year I opened the same sake as the fine folks of Sakaya, Rick and Hiroko. The Tedorigawa "Silver Mountain" Yamahai Junmai ($33) is produced by the Yoshida Sake Brewery, which is located in the Hokuriku region of the Ishikawa Prefecture, an area well known for excellent rice production. The brewery was founded in 1870 and its water descends from the nearby Mount Hakusan, which is a potentially active volcano. This sake brand is named after the Tedori River ("gawa" means "river"), and it is thought the river obtained its name from the fact people used to cross the river hand in hand due to its rapid flow. One meaning of "tedori" is that it refers to a "braiding method," resembling in some ways the people with their linked hands. This sake is made from Gohyakumangoku rice, which was polished to 65%, and has an SMV +4 and an Acidity of 1.5. As it is a Yamahai, no lactic acid was added to the yeast starter. Instead, natural lactic acid from the air was allowed to drop into the yeast starter, a process which usually takes twice as long and tends to give an earthy or gamey flavor to the sake. In addition, a Yamahai is generally richer in umami than most other sake types. I found this sake to be dry and smooth, with only a mild earthy tone and a light tinge of sweetness. It went very well with our turkey, but also was able to stand up to the wild boar roast. It actually did well with our side dishes too, its higher than usual acidity probably helping in that regard. Sure, most people probably don't consider sake for their Thanksgiving dinner but it can be a very good pairing. That is something to keep in mind for Christmas dinner as well, especially if you are having turkey. I also should briefly mention the Bodegas Sánchez Romate VORS Oloroso, a superb aged sherry which enhanced our Thanksgiving too. With the many thousands of food blogs in existence, the most common type are the recipe blogs, where writers post the results of their home cooking. I recently had cause to ponder some questions concerning these recipe blogs. How often do they practice a recipe before posting it? Have they considered other factors that might influence their recipe? Can you successfully replicate their recipes if you try them at your own home? What brought these questions to mind was a short tour of the headquarters of America's Test Kitchen. America's Test Kitchen is a cooking show, hosted by Christopher Kimball, on public television stations. Kimball is also the editor-in-chief of Cook's Illustrated and Cook's County magazines, which are published in alternate months. In addition, the company publishes various cookbooks, with "Slow Cooker Revolution" being their best seller last year. Their headquarters, for all of their endeavors, is located in Brookline, Massachusetts. Kimball founded Cook's Illustrated in 1980, eventually selling it to Condé Nast Publications, which chose to discontinue it in 1989. Kimball reacquired the rights to the magazine and relaunched it in 1993. Cook's Country, which emphasizes home-style cooking, was launched in 2004. The magazines accept no advertising and primarily present detailed recipes which commonly use ordinary and easily available ingredients. The goal of the magazines is to provide recipes that can be replicated by home cooks with the near exact result every time. In addition, the magazines also present evaluations and comparison tests of kitchen equipment and branded foods and ingredients. Renee of the Boston Brunchers arranged a tour of America's Test Kitchen for a small group of bloggers and I was interested in viewing the facilities. It is located at a nondescript location and you enter their offices on the second floor, though their offices extend from the basement to the fourth floor. The tour lasted about an hour, providing us a brief glimpse behind the scenes, and I could have easily spent much longer asking questions and delving deeper into their endeavors. We began the tour at their food and cookbook library, which contains approximately 4,000 volumes and is considered one of the largest private cookbook libraries in the U.S. This is where their test cooks do much of their recipe research, commonly evaluating 5 recipe variations at the same time. The test cooks will later prepare all five recipes at the same time, and continue repeating a recipe until satisfied, often about 20 times, though it might be even as much as 100 times. When the test cooks are satisfied with their results, they will send out the recipe to numerous consumers, from a pool of about 10,000, who will test the recipes and then provide feedback. Despite all the time, effort and resources invested in a recipe, it might be canceled if it cannot garner sufficient positive results from the consumer feedback. About ten recipes are included in each issue of Cook's Illustrated, so about sixty in the course of a year. In a very small and informal survey on Twitter, I asked some food bloggers about how often they repeat a recipe before posting it. Sometimes, they post about their first attempt at a recipe, and such are not always successful. Other times, they might repeat it a few times, with a high limit of roughly 5 or 6 times. On occasion, they post some recipes which they make on a regular basis so those recipes are the most well practiced of all they do. Thus, most recipe blogs seem to often test their recipes only a fraction of the time of that of a professional magazine like Cook's Illustrated. Obviously a blogger, who is doing this as a hobby, does not have the time or resources to replicate a recipe as often as would Cook's Illustrated. So we cannot expect them to test a recipe twenty times or so. The primary ramification is that if you prepare a recipe from a food blog, it might not come out as it did in the blog. Certain factors might not have been considered in the food blog that could affect other home cooks. As long as you understand that point, then you will be prepared. This is their photo studio where they take pictures for the magazines and cookbooks. They use all natural light, without any flash, and all of the food is real and not some plastic model. They have various prop rooms, storing items which will be used only in their photos. There are racks of pots, pans, utensils and more which are never used for cooking but are merely props for pictures. They obviously want the equipment to look pristine so it cannot be used. There is a room containing many plates, dishes, cups and such, all divided by color and wrapped in plastic to keep them safe and clean. The kitchen, which was renovated in 2005, contains mostly ordinary equipment which you would find at any home. There are only three items of industrial kitchen equipment: a refrigerator, dishwasher, and kitchen hoods. The idea is for their test cooks to replicate the same conditions as any home cook. When the magazine tests kitchen equipment, they will start using the winning equipment in their kitchen. Their ovens commonly run for up to 8 hours a day, and much of the rest of their kitchen equipment gets frequent use too, which means the kitchen must purchase frequent replacements. There are about 35 professional cooks in their kitchen, and they are all credentialed chefs. It is not easy to get a job at America's Test Kitchen (ATK), and the competition for a spot can be quite fierce. A test cook will usually work on 1-2 recipes per month, alternating writing. researching, and cooking. I wonder whether boredom is an issue for these chefs, as they will be working on only one or two recipes each month. How many times can you make the same dish, before getting bored with the repetition? At least at a restaurant, a chef may be making some of the same dishes all the time, but they have far more variety available to them. It is not like they are restricted to making only a single dish. Logistically, the kitchen provides some unique challenges. As their need for ingredients changes often, the logistics of obtaining their supplies gets complicated. Much of their work is conducted about six months ahead of the publication date so obtaining seasonal ingredients can be very challenging, especially certain produce. They cannot buy in bulk as they generally must use the same sizes that an average consumer would purchase. So that increase their overall expenses. Each day, the test cooks must submit a list of their needed ingredients by around 2pm and then logistics will compile a master list by 3pm. The list might specify certain brands or sizes. Then, their suppliers will send over those ingredients the next day by 10am. Last year, ATK spent about $525,000 on ingredients alone. Interestingly, they will sometimes purchase unusual or rare ingredients merely for experimentation, even if the recipes won't end up in the magazine or books. The kitchens shut down every May for about three weeks while they film the 26 episodes of their television show. That must certainly be a very hectic time, trying to produce 13 hours of television in such a short time period. Besides filming in the kitchen, they also sometimes use the small alley and parking lot outside their building for any grilling episodes. That area is also used for test grilling year round, even in the winter. When ATK conducts blind tests of various food products, everyone in the office gets to taste the products. Certain products, like macaroni & cheese, garner for more employee interest than do items like mayonnaise. Sounds like a nice perk for working at their offices. While passing by their pantry, I noticed they have some wines and beers in stock. They have not done any taste tests of specific wine or beer brands, and will only list a basic type in recipes, such as Chardonnay. I think that is an area which they might want to address in the future as I think the type of wine or beer used in a recipe is a potentially significant factor. For example, would a recipe differ if you used a lean, fruity and unoaked Chardonnay as opposed to an overly oaked, buttery Chardonnay? If they stated to add a Sherry, would it make a difference whether it was a Fino or Amontillado? With their great concern for ingredients, I would think this is an area which they should care about too. A new addition to ATK, instituted just a few weeks ago, is their "Wall of Awesome," a compilation of consumer feedback, including tweets, recipe photos, letters and more. Each week, the Wall is replaced with a new collection of items. One of their latest endeavors is the start of an online cooking school through their website. You will prepare the recipes at your own home, and then submit a photo of your finished dish along with your own assessment of the results. The instructor will then provide you feedback, helping to point out any areas which require correction. It will be interesting to see how that program works out. It was intriguing to look behind the curtains of America's Test Kitchen, and it certainly made me think about several different issues. Maybe I will follow up on these questions in the near future. Meantime, if you have any thoughts on these issues, please add them to the comments. I am very tired of self-proclaimed wine experts, gurus, ninjas and whatever whose actual knowledge is lacking. This is obviously not a problem restricted to the wine world and many fields have this same problem, a deluge of self-proclaimed experts who can't back up their claims. Just look at how many so-called social media gurus are around. But I am going to restrict myself here to the realm of wine and others alcoholic beverages. There are easily over 1000 wine blogs in the U.S. and it is simple for anyone to start a blog as no prior wine knowledge is needed. I have no issue with that, and don't think there should be any minimum prerequisite knowledge level. I have no problem with people learning as they go, developing their wine knowledge over time. With the vast amount of wine knowledge available in the world, every blogger should be on a perpetual learning curve and I personally revel in the accumulation of new wine knowledge. If we stop learning, we stagnate and get left behind as new knowledge comes to light. Amidst all these wine blogs are some bloggers who label themselves as experts or boast highly of their knowledge level in their posts. (So much for humility being a virtue). Are their claims valid? How do we determine whether it is valid or not? What makes a person an expert? What makes a person an expert in the wine field? There is no black and white litmus test to determine whether someone is an expert or not, but there are numerous factors to consider in such an assessment. For example, consider some of the following questions, and know that there are many more questions to ask as well. How long has someone been involved in a field? How much official schooling or training have they had in the subject material? How much have they informally read or studied on the subject? What types of jobs have they held in the field? Which areas have they visited for educational purposes? How authoritative are they seen by their peers or acknowledged experts? In answering those questions, one should also delve deeply into the responses as the surface answer may not tell the entire story. For example, does a person actually have five years of experience, or merely one year that they have repeated five times? Just because a person lived in a country for several years does not mean they automatically know plenty about that country's wines. What did that person do, if anything, in that country to learn about the wines? If a person has a wine certification, what did the process of obtaining it entail? Was it home study or a formal classroom? Who was the instructor? It is as easy to start a wine blog as it is to declare yourself an expert. Frankly, if you feel the need to keep telling people how knowledgeable you are, then you probably are lacking in many respects. Those secure in their knowledge don't brag about it, and also are quick to note when they don't know something. It is usually safer to rely on the opinions of well respected wine experts as to who else is an expert or not. They are best able to judge their peers, to determine whether such individuals truly deserve to be labeled as experts or not. It can be easy for some self proclaimed wine experts, through the use of smoke and mirrors, to convince some readers of their alleged expertise, especially if their audience lacks knowledge in the intended area of expertise. These so-called experts may know the right lingo or technical terms to spout off, giving the impression they know much more than they do. But, there will always be people who can see through the charade, who note that the emperor has no clothes. The harm is that these alleged experts may pass off their errors to others, who will embrace them as truth. Thus, the errors take on a life of their own, and it gets that much harder to correct the misconception. And these alleged experts far too often resist correction, even when they are wrong. They don't want to face the realization that they might known as much as they claim. Don't proclaim yourself an expert. Let your words and actions speak for themselves. If you are wicked, then beware of white sake as it may poison you! I previously discussed the tanuki, a legendary Japanese creature which loves to drink sake yet the tanuki is not the only supernatural creature in Japanese folklore which loves this delicious brew. The shojo is a Japanese sea spirit with long scarlet hair, red skin and a pronounced love for sake. In addition, the shojo possess magical powers which often seem to involve sake. The legend of the shojo actually has a Chinese origin, where they were called sheng sheng or xing xing. The term "shojo" translates as “heavy drinker” or “orangutan,” and sometimes is used as slang to refer to someone who really enjoys to drink. In one Chinese legend, there was a young man named Kofu, a sake merchant who was also very dutiful to his parents. One of Kofu's new customers consumed vast amounts of sake yet never seemed to get drunk. When Kofu inquired of him, the customer stated that he was a shojo who lived under the sea. So, one day Kofu went to the shore, bearing a large pot of sake, and waited for the shojo to arrive. When he did, they spent time drinking and dancing and afterwards the shojo, who really liked Kofu especially because of his filial piety, rewarded him with a special pot of sake, which never emptied. This legend would later become the subject of a Japanese Noh play, a form of classical musical drama. There is also a Japanese legend about events that allegedly occurred about 2000 years, when Mount Fuji supposedly over night. 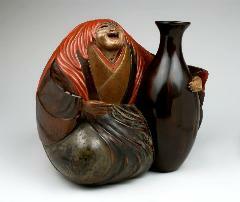 Yurine, a poor man who lived nearby, loved sake and drank it almost every day. On the day after Mount Fuji appeared, Yurine got sick and could not drink his sake. Over time, he only got worse and finally decided he needed one final cup of sake before he died so he asked his young son, Koyuri, to procure some for him. But there was no sake in the house and they had no money so Koyuri was unsure what to do. Koyuri took an empty gourd and wandered the beach, with no specific destination in mind. Fortunately for him, he eventually came upon a couple shojo, though Koyuri did not know it then, who were drinking an intriguing white sake from a large jar beside them. Koyuri pleaded for some sake for his ill father and they let him fill his gourd. Not only did Yurine love the sake, but it also seemed to make him feel better. So Koyuri returned to the beach four more times for sake and his father recuperated from his illness. But there was still a problem, a bitter and unpleasant neighbor named Mamikiko who loved sake but was poor. He was jealous of Koyuri's sake and demanded some from the young boy. Yet when he tasted it, he quickly spit it out as he thought it tasted terrible, which puzzled Koyuri. Mamikiko then demanded that the boy take him to the source of the sake, which he did. The shojo let Mamikiko take some of the white sake and Mamikiko was initially very impressed with its aroma. But when he tasted it, he spit it out again because it had a foul taste. The shojo then revealed their true identity, stating that their sake was sacred and could not only cure any disease but also granted long life. But there was a catch, as not everyone who drank the sake benefited from it. Only those who were good and righteous gained the benefits while those who were wicked and evil found only a poison. Mamikiko panicked as he did not want to die, and started begging for forgiveness and stating he would repent and become a good person. The shojo believed that he was sincere and gave him a powder to counteract the poison. Mamikiko was true to his word and became a good man, making friends with Yurine. They eventually became partners, brewing white sake from a recipe given by the shojo, and both lived for 300 years. So, it appears that those who are good people will most benefit from their encounters with shojo, and it certainly helps if you love sake. What sake lover wouldn't want a never-ending jar of sake, or a sake that granted long life? Ah, if only the legends were true. As an aside, what is the nature of the shojo's "white sake?" It is unclear from the legend and I have not been able to find any definitive answers. It seems likely that it might simply be nigori, "cloudy" sake which contains sake lees and often has a whitish color. During that time frame, basically all sake was nigori, though the white color varied in intensity. The most ancient term for white sake may be nerizake, where "neri" means "to knead." It seems that it was not until around the Heian era (794-1192 AD) that sake started to be separated from the lees, being placed into bags and squeezed to acquire just the juice. A later term for white sake, which originated some time prior to the Heian era, was shiroki. This was a special sake meant to be consumed by the Emperor and used in certain religious rituals, a type of sacred sake known as omiki. That would not be the same as the shojo's white sake, though it too was sacred. In the 17th century, another type of "white sake" was created, shirozake. It was created by the founder of the Toshimaya brewery, who claimed to have gotten the idea from a dream. Though white in color, it is not actually a sake but is a drink made from rice, koji and shochu. It is very sweet and the brewery still exists, continuing to make shirozake. I haven't heard any recent reports of shojo sightings though. Kanpai! Would you like to learn more about Sake? Though it can seem like an intimidating beverage, it is probably much easier to learn about than you think. It is also a versatile drink, with a wide variety of flavor profiles, making it very food friendly. In fact, one of the best ways to understand about Sake is to taste it with food, to see how well it interacts with a variety of dishes. If that interests you, then you should come to the upcoming Sake Dinner being held at OM Restaurant in Harvard Square, Cambridge. The Sake Dinner will be held on Monday, December 5, at 6:30pm. You will receive Five Courses, prepared by Executive Chef Patricia Yeo, accompanied by Five Sakes and the cost is $90 per person (exclusive of tax and gratuity). During the course of the dinner, I will give a lesson in Sake, providing you the basics you need to know about this fascinating and tasty brew. 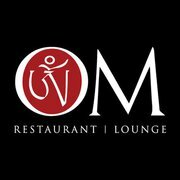 You must make a reservation by calling Om at (617) 576-2800, and please tell them that I sent you. Seating is limited so if you desire to attend, please call soon. I hope to see you at this Sake Dinner. Kanpai! Today is Thanksgiving, a holiday when many of us will get together with family and friends to share good food and drink. Besides enjoying the occasion, we should take some time to reflect upon our lives and consider everything for which we should be thankful. Yes, this year has likely been tough for many of us, especially economically. There are plenty of changes we wish would occur, from greater employment to lower costs for many essentials. But, if we are honest about our lives, we will realize how much worse it could be, and that we do have much for which we should give thanks. That should be our focus today, the positive aspects of our lives, and save the complaining and criticizing for another time. Savoring the positive in our lives can brighten the darker parts of our lives, and place everything in perspective. No matter the problems with the U.S., we still live in a great country and for that I am thankful. I am also very thankful for many other things in my life, including family, friends, health, and much more. It would take too long to list every single thing here, but I will take the time to reflect upon them today. I fervently hope that everyone else does the same, rather than dwelling on the negative. Share your positive feelings with your family and friends. Tell them that you love them, thank them for being in your life. It may be corny, but a hug and kind words can mean so very much. I am going to enjoy such tasty food and plenty of good wine and sake today, but I will remember that today is about more than the feasting. It is primarily a time for thanks, for all the good that is in our lives, and for being with the people we care about. I am here, because of the Thanksgiving holiday, with a special Wednesday edition of my usual Sips & Nibbles column, where I briefly highlight some interesting wine and food items that I have encountered recently. 1) Each holiday season from November 1st through New Year’s Eve, the Legal Sea Foods family of restaurants (Legal Sea Foods, Legal Test Kitchen, Legal C Bar and Legal Harborside) makes waves in assisting Children’s Hospital Boston. For the past sixteen years, a portion of the proceeds from every gift card sold has been contributed to innovative research that will benefit families with sick children. As an added incentive for gift givers this holiday season, Legal Sea Foods will grant a “Lobster Dinner Reward” voucher* (redeemable for a 1-1.25lb steamed lobster with a choice of two sides) for every $200 worth of gift cards purchased from the restaurants. To date, Legal Sea Foods has raised over $1 million through its holiday gift card program making it the longest running annual cause marketing program to support Children’s Hospital Boston. The funds raised through the gift card program benefit Children’s Hospital scientist Dr. Leonard Zon’s revolutionary zebrafish research. Zon is a world-renowned stem cell researcher who pioneered the field of zebrafish genomic research. The hope is that discoveries in the fish, whose genetic structure is similar to humans, will translate into cures for millions of people worldwide with malignant, degenerative and genetic diseases such as leukemia, cancer, anemia and immune deficiency disorders. All 19 Legal Sea Foods restaurants in Massachusetts are involved in the program. Gift cards are available for purchase in-store, online at www.legalseafoods.com, or by calling 1-800-EAT-FISH. *“Lobster Dinner Reward” voucher valid from January 1 through March 31, 2012. 2) To celebrate the winter season, Hotel Indigo’s BOKX 109 American Prime will host an evening of Cigars and Scotch on Friday, December 2, at 6:30pm.. At the event, guests will have the opportunity to sip on Glenfiddich Scotch while enjoying a fine cigar outside by the fire pits. The night will also include a meet-and-greet with the Glenfiddich Scotch Master himself. To accompany the fine whisky and cigars, Executive Chef Jarrod Moiles will prepare a selection of hors d'oeuvres for guests to sample. Enjoy a glass of one of the world’s most famous single malts and a stogie, with BOKX’s guest whisky aficionado. 3) When your child is sick, it’s hard to keep up a normal routine, let alone during the holiday season. This is something that executive chef/owner of Tryst, Paul Turano, knows all too well, having spent time with his son on the 6th Floor of Children’s Hospital Boston at Hematology, Oncology and Stem Cell Transplant Units over the past few years. This holiday season, Turano is giving back to the hospital that was there for his family by holding a holiday gift card drive for The Resource Room, a center that helps provide services to over 45 families whose children are being treated at the Children’s Hospital Boston Oncology and Hematology Center. From December 1st, 2011 through December 20th, 2011 Tryst will match every $5, $10 or $20 gift card that diners bring in to the restaurant with a gift certificate of their own to Tryst. Whether the donated card can be used for a morning coffee at the local Dunkin Donuts, or is a generic American Express donation that can be used towards gas, or parking, each donation will help parents regain a sense of normalcy in their lives. Funded through donations from area businesses and families, the Resource Room floor 6 is staffed by a patient and family educator who can help patients and families learn about their medical treatment. The Resource Room also offers a space for patients and families to relax and connect with others going through a similar experience. With the extra help of these gift cards, Tryst will be putting Christmas back in the hands of these parents who will be able to utilize them for anything they wish. For a full list of accepted gift cards, please see below. WHEN: Tryst’s holiday gift card fundraiser will be offered December 1, 2011 through December 20, 2011. HOW: Bring a $5, $10 or $20 gift card to a store from the selected list below when you dine at Tryst and receive a Tryst gift certificate of equal value! ADDITIONAL: Gift card donations are not limited to a $20 value, but Tryst will only match donations up to $20. Limited to one Tryst gift certificate per person per visit. Gift certificates cannot be combined. Cannot be combined with any other offer. RSVP: Dine-in is not required. Walk-in’s welcome. Please call 781-641-2227 for more information. 4) The 2012 Boston Wine Expo is expanding this year, as well as lowering the price of Grand Tasting tickets, and the celebration will extend from Monday, January 16 to Sunday, January 22, 2012. Ticket prices for this year’s Grand Tasting are offered on a tiered scale. Saturday tickets begin at $85 and Sunday tickets begin at $70. On December 12th and again on January 13th, prices for each day increase $5 - $10. Two-day tasting tickets start at $130 and follow the same increase system at the same rate. Tickets can be purchased by visiting www.wineexpoboston.com or calling 877-946-3976. Area liquor merchants also sell tickets in advance of the Expo. A list of these locations can be found on the website. Note that they will be selling less tickets than year than last year. Beginning January 16th, wineries will host exclusive Vintner Dinners at some of the city’s most enticing restaurants. Local favorites will provide the opportunity for guests to taste creative pairings of food and wine as they learn about each. At the Grand Tastings you can enjoy food and wine pairings from 40 restaurants daily and take in chef demonstrations by chefs including Christopher Coombs of Deuxave, Antonio Bettencourt of 62 on Wharf, Vittorio Ettore of Bistro 5 and Patricia Yeo of Om Restaurant & Lounge. At the Grand Cru Wine Lounge on Saturday and Sunday, you can taste rare and expensive vintages (poured from $75 and up) as well as food from some of Boston’s restaurants. Grand Cru tickets are $175 and include admission to the Grand Tasting. Saturday evening marks the Boston Wine Expo’s Signature Event, held in the Lighthouse at the Seaport Hotel. The evening will showcase premium wines, feature celebrity chef appearances and allow the trade and consumer guests to brush elbows with wine industry dignitaries. New to the Boston Wine Expo this year will be a Mobile Application exclusively made for the event. The app will link wines directly to consumers to teach while they taste. Additionally, the app will list local retailers that carry the sampled wines. Attendees can save wine favorites to the app to access throughout the year. Served on Fridays only, during December; runs through January 6. In conjunction with the Grill's sister restaurant, Tavolo. Diners enjoy two courses @ one restaurant, head outdoors for an amuse bouche, then trot down the block to the next restaurant for another two courses. A sell-out in November, this is a fun-filled way to kick start the holidays with friends, and is likely to become a monthly affair. $60 p.p. includes 4 ½ courses plus wine. Ala carte specials like lobster, oysters, and beef tenderloin, followed by the neighborhood’s swingin'-est dance party, with DJ Mary Alice of Provincetown from 10 PM to 2 AM. No cover. How time flies sometimes! This past Thursday, I stopped by Wine-Sense, a small, boutique wine shop in Andover, for their special Thanksgiving wine event. As I prepared to write about the event, I realized that I had reviewed Wine Sense back in June 2008, more than three years ago. It is probably time for an update, to determine whether my review is still relevant or not. A period of three years can sometimes see significant changes in a store or restaurant. I am pleased to report that Wine-Sense is just as good as it was three years ago, and probably even better. Samanta, the store owner, is still as energetic and passionate as ever, bringing in a fascinating selection of more artisan wines, at all price points. She has not compromised in the type of wines she stocks and has grown a good following of regular customers. It remains a wine shop that any wine lover would enjoy, and they would likely find plenty to appeal to them. It was cool to see there is now a local wine section, with wines from Still River Winery, Isaak's of Salem and Zoll Cellars. Samanta also now carries five Manotsuru brand sakes from the Obata Brewery in Niigata. I am actually not familiar with this brewery so I was very excited to find them. I ended up buying a case of wines, an assortment including a couple sakes. It was easy to fill up a case, and I probably could have filled another case or two with other wines that intrigued me. Wine-Sense thus continues to receive my strong recommendation. For the Thanksgiving tasting event, two distributors presented their wines and there was also a cheese table from Whole Foods Market (which had a great selection of tasty cheeses) and cookies from Miss Maura's Delectable Delights. Whole Foods did a great job with their cheese tray! I will showcase a few of my favorite wines from the tasting, as well as review the cookies. Just in time for Thanksgiving comes the NV Cleto Chiarli Lambrusco Grasparossa di Castelvetro Amabile ($14). Forget that cheap Lambrusco you had when you were young, this is a very different wine. This wine is frizzante, possessed of a light effervescence, and is mildly sweet, with a good acidity. It has some pleasant red fruit flavors and should appeal to almost everyone at the Thanksgiving table. I know many in my family will really enjoy this wine so I bought a couple for the upcoming holiday. This would be great not only for Thanksgiving but for any other upcoming celebration or holiday. The 2010 Tenuta dell Terre Nere Etna Rosso ($18.99) would also be an excellent choice for Thanksgiving, as well as everything from pizza to burgers. This Sicilian wine is made from the Nerello Mascalese grape, and is the introductory wine from this line. An elegant wine with delicious red fruit flavors, moderate tannins and hints of minerality. It has lots of character for the price and will bring to mind a fine Pinot Noir. I will be looking for the higher end wines in this line as this wine was so interesting. The next three wines are all from the same Oregon winery, Anne Amie. The 2010 Anne Amie Pinot Gris ($18.99) is all estate grown fruit and was fermented only in stainless steel. It had a spicy taste, with crisp fruit flavors of orange, pineapple and lemon with a backbone of minerality. A compelling white wine, showing just how good the wines of Oregon can be. I also enjoyed two dessert wines from this producer, Anne and Amie (package of two 375ml bottles for $55). Both are made from Late Harvest Muller-Thurgau, grown in their own vineyards, and they freeze the grapes at the winery. The Anne is fermented for seven months, intended to create a Vin Glace dessert wine. It was sweet, though not overly so, with delightful flavors of honey, apricot and ripe peach and sufficient acidity to balance the sweet. The Amie was maderized and fortified with Pinot Noir brandy to produce a Vin Doux Naturel dessert wine, though the additional alcohol was not noticeable. It had a sweeter taste, and presented some more nutty flavors, almost like a sweet sherry. Miss Maura's Delectable Delights is a local business making specialty custom cakes, cookies and pastries. Besides the usual desserts, they also produce a line of gluten free cookies and pastries, and they brought two of their gluten free cookies to the tasting. There was the French Almond Cookie, a chewy almond cookie frosted with buttercream and dipped in dark chocolate, and the Lime in the Coconut, a light lime flavored shortbread cookie with a sweet coconut American cream filling. These were both delicious, and you certainly would never know from the taste that they were gluten free. My personal favorite was the Lime in the Coconut, as the lime was very restrained and the creamy coconut taste was prominent. Chocolate lovers would really enjoy the French Almond cookie. Both had a very homemade feel to them and they should prove popular. My only concern is the high price, $20 per dozen, though I note their chocolate chip cookies sell for only $12/dozen. So maybe these are more for a special occasion. Check out Wine-Sense and I am sure you too will be enamored with their carefully chosen, diverse selection of wines. We often hear complaints about the outrageous prices of wine sold at many restaurants. Some places charge three, four or even fives times the usual retail price of a wine. Who wants to pay $30-$50 for a wine at a restaurant that they can buy at a local store for $10? I have heard all of the arguments put forth by these restaurants, and though I would agree to the validity of a certain markup, some markups are absolutely unnecessary, bordering on larceny. Sake prices at restaurants can be equally as appalling. I have seen a 300ml bottle, which retails for $8, sold for $32 at a local Japanese restaurant. That is a four times markup from retail, and we all know that the restaurant is paying wholesale for it, so the true markup is even higher. What possible justification exists for such a drastic markup? I have seen plenty of restaurants where the sake markup is three times the retail. And it is often the least expensive sakes that have the greatest markup. That seems to make such little sense. Interestingly, you will often see wine writers advise you to choose the less common wines on a restaurant wine list, as they can often be good deals. As such wines are not popular, or as well known, the restaurant may not mark them up as high, in order to get more people to take a chance on them. That makes logical sense, and can help people broaden their wine horizons. So why don't these restaurants apply the same logic to sake? Sake is still a very niche beverage, unfamiliar to many, and needs much more promotion. The average consumer knows very little about sake, and what they do know may even be incorrect. So, they are much less likely to order it at a restaurant, especially if it is expensive. If they are going to try something new, they are far more likely to do so if they are offered an apparent bargain. So, restaurants should have a much lower markup on their less expensive sakes, in order to entice people to take a chance, to try to garner new sake drinkers. And despite the lower price, the increased amount of sales should provide even more profit than far fewer sales at a higher price. Existing sake lovers will often know the retail prices of the sakes on a restaurant list. They are very unlikely to order a sake where the price is outrageously overpriced, and such prices will give those sake lovers a more negative view of the restaurant. If the sakes were more reasonably priced, then sake lovers would be more conducive to ordering a bottle or two. They would also be more likely to refer their friends and others to a restaurant with a more reasonably priced sake list. So there are multiple reasons why restaurants should have a more reasonable markup for sake, to encourage new sake drinkers as well as to please existing sake lovers. So will any restaurant actually listen? Is any restaurant willing to step forward and agree to lower their sake prices? If you are willing to do so, please tell me and I will help spread the word. I never expected that a spoonful of food at Flavors of Fall would so intrigue me. This past Monday, as part of the media, I attended the Flavors of Fall event at the The Charles Hotel. The event was organized by BostonChefs.com, and cosponsored by City Square Associates, Inc. and The Charles Hotel. This fun event offers food from local chefs, wine, beer and live music, and all of the proceeds go to a local charity. I have been to this event in previous years and it is usually a very enjoyable evening. This year, the charitable donations were given to Tutoring Plus. "Established in 1964, Tutoring Plus supports and encourages the academic, personal, and social growth of Cambridge youth with the help of volunteers and community partners. Teaming up with area schools, community organizations, universities and local companies, they provide safe, trusted, structured and highly personalized programs. Proceeds from this year's Flavors of Fall specifically support Tutoring Plus's Girls, Media & You, a joint project with Lesley University that brings under-served and at-risk middle school girls together with Lesley undergraduates to focus on the influences of society, culture, and media on girlhood in the contemporary U.S."
Over fourteen restaurants and other companies participated this year, including Area Four, Bergamot, The Blue Room, Bondir, Catalyst, EVOO, Garden at the Cellar, Harvest, Henrietta's Table, J.P. Licks, Noir, Russell Tavern, Sandrine's Bistro, Upstairs on the Square, Brooklyn Brewery and Dreyfus, Ashby & Company. Each restaurant offered up a small plate, from The Blue Room's Brussel Sprouts Popcorn to Harvest's Caramel Budino. My only minor complaint was that the lighting was not the best for photos, so I don't have as many photos as I would have liked. While enjoying the various small plates, you could sit and listen to the Rollo Tomasi Quartet, whose slogan is: "Jazz Straight Up. Funk Chaser." To accompany the food, there were six wines and three beers available, including three white wines and three reds. The reds included a Chianti, Burgundy and Malbec, and they were all tasty, albeit relatively simple, easy drinking wines. That intriguing spoon! Garden at the Cellar presented the Salted Caramel Apple Textures, a combination of apple, peanut praline, caramel powder, and Maldon salt. It had such an interesting mouth feel, and the clean flavors burst forth, meshing well together. It was not as thick as usual caramel sauce, but easily slid down my throat. I enjoyed a few of these spoons, which would make a perfect Thanksgiving ending. The fine pig that is being sliced up was brought by Bondir, who served up Porchetta on a spelt soft roll with Bacio di Satana pepper jelly. The pork was quite delicious, moist and tender meat, and the pepper jelly added a spicy element. Catalyst Restaurant provided another very intriguing dish, a Horseradish Flan with braised brisket, smoked paprika and herb salad. I loved the smokiness of this dish and the brisket was meaty and tender. All of the ingredients worked well together, a fine interplay of textures and tastes. I also enjoyed the Crispy Fried Oysters from Russell House Tavern which were topped by sriracha aioli, citrus salt and pickled watermelon rind. The heat from the siracha was balanced by the fruit flavors and the saltiness of the fried batter and oysters. A mouthful of delights. Bergamot, as usual, pleased me, this time with their Braised Beef Panini topped by taleggio cheese, arugula, and truffle aioli. A delicious sandwich which I would have greatly enjoyed for lunch anytime. With all of the savory entrees, there was a compelling dessert too. J.P. Licks brought a Wild Turkey Bourbon ice cream which I thought was excellent.The ice cream was smooth and creamy, with a definite bourbon taste, a bit of noticeable alcohol and no bite. This is an adult dessert which I very much enjoyed and I liked that you can tell it has some alcohol in it, and not just some artificial alcohol flavoring. I hope the event raised plenty of money for Tutoring Plus. Paragon: 1 p.m. – 8 p.m.
Cedars Steak House: 1 p.m. – 9 p.m.
David Burke Prime: 5 p.m. – 10:30 p.m.
Al Dente: 1 p.m. – 8 p.m.
High Rollers: 3 p.m. – 11 p.m.; 11/27 pickup between 11 a.m. – 5 p.m.
Alta Strada: 4 p.m. – 9 p.m.
Veranda Café: 7 a.m. – 10:30 p.m. The Grill at Two Trees: 7 a.m. – 9 p.m.
3) It’s that time of year again... time for The Beehive’s Annual Santa Brunch being held on Saturday, December 10, from 10am-3pm. Now in its fourth year, guests can count on delicious food + drink, Christmas carols, photo opportunities (Please bring your own cameras) and mingling and jingling with the big man himself... Santa Claus! Couple all this fun with brunch items like Extra Thick French Toast served with Chantilly cream and real deal maple syrup ($13), or Beehive Eggs Benedict served with Virginia ham ($13.5) or try it with smoked salmon ($14). Don’t forget about The Beehive’s “Little Bee’s” menu perfect for your little one buzzing about. Children can choose from items such as Kiddie French Toast ($5), Scrambled Eggs & Toast ($5), or Free Range Chicken Fingers and Frites ($6). Parents, while the kids are running around with Santa maybe you can sneak in one of The Beehive’s handcrafted cocktails such as the Beelini with Champagne and Apricot Nector ($11.5) or the Cranberry Winter Mojito with Gosling’s Dark Rum and The Beehive’s “Drunken Cranberries!” ($11). Reservations are highly recommended. Regular brunch pricing and specials offered. No cover charge. This is an event for kids of all ages and please call 617-423-0069 for more information or to make reservations. Executive Pastry Chef Franck Iglesias was born in Argenteuil, France, just north of Paris, and while his mother prepared traditional French specialties at home, his father worked as a restaurant chef. When he was 16 years old, he entered Andorra Culinary School and two years later moved on to Perpignan, where he learned the art of pastry making. After a number of years working in France and Spain, he moved to the U.S. in 2000, working in Connecticut and New York. In New York, he worked at the famed Upper East Side Payard Patisserie & Bistro. In 2009, Chef Iglesias became the Executive Pastry Chef at Foxwoods Resort Casino and the MGM Grand at Foxwoods, and oversees a staff of 40 and services 34 food outlets. I most recently saw Chef Iglesias on television, as he competed against three other pastry chefs in the new culinary competition show “Sweet Genius.” Chef Iglesias came in second place with his final dish of Dark Chocolate Huitlacoche Mousse with an Eggnog Crème Brûlée. He evidenced much creativity during the course of this show so he seemed a perfect person for my Culinary Creativity interview. How important is culinary creativity to you? Why is it important? Very important! To me it is crucial, and it’s why I love my job! It allows me to be creative. Without creativity, it would be boring, that’s why it is so important. Creativity allows me to incorporate my love of art into my work. What are your most significant inspirations for your culinary creativity? What makes those matters so inspiring? Seasons are my true inspiration. Ingredients that are available for a few weeks or months, sometimes fruit or vegetables that you only find in farmer’s market, are what inspires me the most. From the flavors to colors, each season brings a different feeling, sensation and taste, that I use as inspirations for my creations. I get ideas in so many different ways. It can come from a combination of flavors that I feel would work well or a theme or even some colors I want to work with. What is your process of creating a new recipe or dish? I first write down the seasonal ingredients available or the one I want to work with. Then I decide which one I want to pair (sometimes unusual combination that I believe would work together), after this process, I try to create a dessert that explores the different ways to add textures, contrast (hot-cold) or colors. Yes, I sometimes ask my team for ideas. As an example I recently asked one of my employees to think about a dessert idea for one of our restaurants. She said I love pumpkin latte; it would be great to do a dessert inspired by it. We turned that idea into a delicious pumpkin pain de gene with cappuccino cream, pumpkin seed brittle, milk foam and pumpkin seed oil powder. We mostly try them until we like the way they taste and look. It can sometimes happen the first time but mostly we have to change things several times before we feel completely happy with the result. It is difficult to put flavors together without having some overpower other ones. You have to be careful when you mention ingredients on your dessert description. If you mention ginger or lemon thyme you want the customer to taste it along with all the components of the dessert. It is all about balance! Yes, sometimes that happens. Usually it is because I have too many ingredients or too many ideas and I need to walk away from them for a couple of days. It helps to come back with a “fresh mind” There is definitely some moments where inspiration flow like a melting snow river, and then moments or pure dryness! Relate an unusual or interesting anecdote about the creation of one of your dishes. One day I wanted to infuse pears with Tobacco, I wanted to give a light smoky flavor. The result was awful; it was leaving a nasty nicotine taste in your mouth. One of my sous-chef got mad at me as he was trying to stop to smoke and had this “cigarette” taste for a little while after tasting the pear. I tried again with cigar tobacco! That was much better! We are still talking with my team about this “creation” as one of the worst I ever did! Is sake produced in the U.S. as good as sake produced in Japan? Does the question require more specificity? Or is it even a fair question? After my recent visit to the SakeOne brewery in Oregon, I pondered these questions. In addition, as I was doing some additional research, I stumbled upon a blog post, from February 2011, which attempted to answer these questions and those answers irked me. W. Blake Gray posted US sake vs. Japanese: the update and concluded "..that Japanese sake is still significantly better." I feel that his conclusions are unfair, unsupported by his presented evidence and fail to consider several important elements. Even if every negative thing that Blake stated about SakeOne were true, he still would not have proved his general conclusions. In addition, it almost seemed that Blake possessed a preconceived bias against American sake which colored his judgment. Before posting his article, Blake stated his general rule is "Domestic sake is not as good as Japanese sake." Considering how he ignored certain key aspects of the original question, presented very limited evidence, and seemingly tailored his post in an attempt to prove his assertion, it certainly seems like bias was likely involved. It is telling as well that within the article, he even stated "...this piece is already mean enough." To start, Blake's article addressed only one specific example, SakeOne, while there are six other producers of Sake in the U.S. (though one of those did not exist at the time of his article). Though he claimed to have tasted other domestic sake, he did not indicate which breweries that included and did not indicate whether he has tasted sake from all of the breweries or not. Plus, he did not indicate when he tasted sake from the other domestic producers, which is another important factor. Blake's article made grand conclusions based on a single example, SakeOne, and failed to indicate that any or all of the other U.S. sakes breweries engaged in similar practices. It is clearly improper to make a general conclusion based on a single example. Before I delve more deeply into specifics, I want to provide some context and history on sake production in the U.S., which Blake failed to address in his article. In fact, a sake brewery in a U.S. territory had a significant impact on the entirety of the Japanese sake brewing industry. Even if you dislike the sake that is currently being produced in the U.S., you cannot ignore the Japanese sake industry's great debt to the U.S. It is thought that sake first came to the U.S. around 1885 when Japanese immigrants, working on sugar plantations in Hawaii, brought some with them. Within a few years or so, sake became a more readily available import. But, around 1898, sake imports dropped drastically when a 600% import duty was imposed upon it, part of an effort to discourage immigration. Into this picture came Tajiro Sumida, who immigrated to Hawaii in 1899 when he was 16 years old. Nine years later, he opened a sake brewery in Hawaii, the Honolulu Sake Brewery, which is said by some to be the first sake brewery established outside of Japan, though evidence seems to indicate otherwise. Initially, the endeavor was a disaster as the high temperatures ruined the sake so Sumida had to develop a method of refrigeration to protect his production. This succeeded and by 1914, Sumida was producing about 300,000 gallons of sake. Sumida actually was on the cutting edge of developing and refining technology for sake production. His was the first sake brewery to use stainless steel tanks and the first to brew sake year round. He devised a method to use California rice as well as refining the use of foamless yeasts. These important technological developments were later embraced by the Japanese sake industry. Japanese sake brewing has about 2000 years of history, but the modern sake industry in the U.S. really started only about 32 years ago. Is it fair then to compare the two industries with such drastically different amounts of experience? It is only fair if you factor the varying experience levels into your answer. Plus, the U.S. sake industry is still very small, with only seven breweries, as opposed to the 1200-1400 sake breweries that now exist in Japan, so there is not much to compare to at this point. Within the U.S., it is still a young and tiny industry so we must consider that fact into our assessments too. Blake pointed to two specific factors, water and rice, which he stated were are the reasons why American sake is inferior to Japanese sake. He indicated that SakeOne uses tap water and table rice but failed to provide any evidence that the other U.S. sake breweries did the same. Based on Blake's post, it appears that the water and rice issue is a new revelation to him, which would seem to indicate he did not know the source of the water and rice used by other U.S. sake breweries. Without that evidence, any conclusions drawn from the single example of SakeOne can only apply to SakeOne and not the U.S. sake industry as a whole. So Blake's sweeping conclusions about the entire U.S. sake brewing industry must fail. As to the water, Blake indicated SakeOne uses tap water but failed to explain why that created inferior sake. The brewers of Momokawa thought Oregon water would work well for sake, and Oregon water is often cited as being very pure. In addition, SakeOne uses a multiple filtration system to remove unwanted microbes and such. So what exactly is wrong with the water used by SakeOne? Is it too hard? Does it contain too much iron? Simply stating it is tap water is an insufficient indictment without supporting details. In addition, some Japanese sake uses tap water, and not pure natural springs or rivers, so does that make those sakes inferior as well? As to the rice, Blake indicated that SakeOne uses eating rice, table rice, rather than sake rice. Once again, Blake failed to explain why table rice leads to inferior sake. I know the differences between table rice and sake rice, but the average person will not have a clue. Though Blake did not mention it, there is a strain of Calrose being produced that is made to be closer to sake rice, with a larger shinpaku, the center pocket of starch. In addition, the simple fact is that most Japanese sake is made from table rice rather than sake rice, something which Blake also failed to mention. So Blake cannot simply state U.S. sake is inferior because it uses table rice when so much Japanese sake also uses it. As grapes are to wine so is rice to sake, yet there is a significant difference. It is said that 80% of a wine is due to the grapes and 20% to the production while sake is the opposite, with only 20% attributable to the rice and 80% to production. So, the type of rice is less important, especially in experienced hands. As experience is so important, that is a reason why the U.S. sake industry is still in its infancy. It needs more time to grow, experiment, develop and evolve. So, why would anyone think that U.S. sake can currently compete with the best sakes of Japan? It makes little sense. It would be like expecting Cabernet/Merlot blends from Long Island to compete with First Growth Bordeaux. But that does not mean that Blake's rule, "Domestic sake is not as good as Japanese sake," is valid as a generalization. In fact, I believe there are U.S. sakes which can be as good, and potentially better, than approximately 75% of Japanese sakes. As a starting point, you must realize that about 75% of the sake produced in Japan is futsu-shu, ordinary sake, which is not considered to be premium sake, also known as tokutei meishoshu, or "special designation sake." Futsu-shu is often mass produced, cheap sake, though there are some good quality ones too. But nearly all futsu-shu is made from table rice and most probably is also made with tap water. In addition, it does not have a minimum rice polishing requirement and may contain additives you would not find in a premium Junmai or Honjozo sake. As the quality of much futsu-shu is low, it is then easy to say that there are U.S. sakes which are much better than the bulk of futsu-shu. If we just consider SakeOne, their sakes are Junmai, meaning they only contain four ingredients (rice, water, yeast and koji-kin), which elevates them above most futsu-shu. Plus, their sakes are Ginjo grade, meaning at least 40% of the rice kernel has been polished away, again elevating them above most futsu-shu. Tastewise, I believe the SakeOne products are better than at least 99% of the futsu-shu I have ever tried, which means SakeOne's products are better than at least 75% of Japanese sakes. Blake is very negative in his opinions of the SakeOne products and he is certainly entitled to his opinion in that regard. My own opinions, which I previously posted, are much different though. I have also poured some of the SakeOne products at various sake tastings and they were generally well received by the average consumer. I am curious as to whether Blake would concede the point that SakeOne's products are better than most futsu-shu. Now, how does U.S. sake quality stand up against premium Japanese sake, which constitutes 25% of their production? In this regard, I feel the vast majority of premium Japanese sake is likely better, though I will also note that I have encountered good, premium sake that does not use sake rice. The top sake producers have vast amounts of experience, with a wealth of resources, and the fledgling U.S. sake industry has a mere fraction of that experience. For example, how do you compete with a sake brewery, Sudo Honke, that has been in continual existence for over 850 years? Despite this, you would be hard pressed to find a premium Japanese sake at the same price point as you would at SakeOne. You can purchase a 750ml bottle of Junmai Ginjo from SakeOne for $12-$13 while a Japanese Junmai Ginjo would easily run you $25-$40+. Thus, the low prices of SakeOne make their sake more attractive to the average consumer who can't afford to drink $25+ sakes every night. I feel the SakeOne products are very approachable, especially to people new to sake. Such individuals are far more likely to pay $12 to try a sake rather than $30, just as they would be with wine. I would have absolutely no problem recommending the SakeOne products. So, back to the original question: Is sake produced in the U.S. as good as sake produced in Japan? The proper answer is that, in general, U.S. sake is better than some Japanese sake but not as good as others. Not all Japanese sake is a superior product, and far more of it is ordinary than premium. But, I think it is far more important to ask whether U.S. sake has improved over time or not. That is not a question Blake addressed and he never indicated whether he previously tasted through the SakeOne portfolio. SakeOne has been brewing sake for about 13 years and I probably first tasted their sakes about ten years ago. Since then I have tasted them at various times and most recently visited the brewery and tasted through their portfolio. Thus, I am in a position to assess their progress over the past ten years and definitely feel the quality has much improved over that time. Their experience has grown, and they have been able to learn from the past, creating better sake. They continue to learn and hone their skills, and it is likely their sake quality will continue to improve. They currently produce a good, value sake of which they should feel proud. The entire U.S. sake industry is growing, and I am eager to eventually taste sake from the newer breweries, Moto-i and Texas Sake Company, to see the quality of the sake they produce. I have heard some good things about the namazake from Moto-i. The Texas Sake Co. is still very new so I have heard few reviews yet. Sure, there are still some U.S. produced sakes that I dislike, which I even consider to be poor quality, but then there are poor quality, Japanese sakes I dislike too. I place the U.S. sake industry in context, as a small, young industry which is striving to improve rather than simply dismiss it out of hand as did Blake. The Japanese sake industry also needs to be put in context, with its 2000 years of history and experience, but which still produces plenty of very ordinary sake, much of which is inferior to some of the sakes being made in the U.S.
Don't ignore U.S. produced sake. Instead, give it a try and make your own opinion. And if you dislike all of the sakes from one U.S. brewery, don't let that stop you from trying the sakes from another brewery. Personally, of the different sakes I have tasted from five domestic breweries, I believe SakeOne is producing the best quality and value sake of that group. The Thanksgiving holiday approaches and some people might have already started to panic. Will you eat at home, go to a friend or relative's home, or dine out at a restaurant? If you are cooking, are you looking for a new recipe to try? Which wines should you serve? So many decisions to make, so let me offer a little assistance and maybe ease your worries. First, stop worrying that everything needs to be perfect. It really doesn't. Thanksgiving is a time for family and friends to get together, to be thankful for everything they have, and it is not a time for nitpicking. It is a time for fun and enjoyment, to relax and chat, to savor the day. So, as long as the food and wine is good, no one will really care that it might not be "perfect," whatever that term might mean. If you are looking for some new recipes to try, I have several Easy Thanksgiving Recipes for you, including Buffalo Chicken Dip, Sangria, Double Corn Pudding, Special Potato Casserole and Swedish Apple Pie. Just about anyone can make these easy recipes, yet they contain plenty of great taste. If you would rather dine out at a restaurant, check out my list of 9 restaurants in the Boston area, from Russell House Tavern to Aura Restaurant, offering special Thanksgiving menus this year. Avoid all the time and effort of cooking your own meal, and cleaning up the mess afterwards, and dine out instead. Need a wine recommendation? You could consider Sherry or Sake, both which are very food friendly and actually would pair well with your Thanksgiving feast. Or you can consider some general advice I previously gave, Thanksgiving: I Want Wines To Make People Smile. Don't sweat your wine choices. 1) Boston magazine announces its second annual Taste event on Monday, November 14 to be held in the setting of Boston’s Museum of Science. This culinary event will showcase cuisine and cocktail selections from 30 of Boston and Cambridge’s hottest restaurants. Taste attendees will have the chance to savor bites from some of the city’s most esteemed chefs, sip creative cocktails from top mixologists and socialize among fellow foodies. Proceeds from the delicious dining event will benefit the Greater Boston Food Bank. “The fall dining season is a time so many Bostonians look forward to, and with that, we are delighted to host our second annual Taste event,” said Rick Waechter, President, Boston magazine. “Boston has become such a culinary hub and we are proud to offer an event that spotlights the best of the best for one night, all together under the same roof,” he added. Participating restaurants include: 80 Thoreau, Alma Nove, Asana, BABYTRAIN barBARq, Bambara, Bistro du Midi, Blue, Inc., Catalyst, Dante, Eastern Standard, El Centro, Grill 23, Harvest, Island Creek Oyster Bar, Legal Harborside, L'Espalier, Market, Myers + Chang, O Ya, Ole Mexican Grill, Pigalle, Post 390, Posto, Rialto, Sel de la Terre, Stella, Storyville, Sweet Cheeks and Wolfgang Puck Catering. 2) Every Monday from 8pm-12am, join The Beehive’s for Irish Music Mondays, a relaxed, informal night of traditional Irish and Celtic music, food and of course, libations. This weekly seisún (from Irish Gaelic), or pub session in which musicians gather together to play traditional Irish music, is headed by 25-year-old Scotland-native, Maeve Gilchrist who will grace The Beehive’s stage each week with a rotating cast of Irish/Celtic musicians. At only 25, Maeve Gilchrist has been credited as an innovator on the Celtic Harp due to her uniquely chromatic use of the instrument. In true Irish fashion, guests can enjoy the Monday night performance over food & libations from the regular menu as well as rotating weekly specials that highlight regional Irish fare such as fish and chips, lamb stew and grilled Scottish with bubble & squeek from Executive Chef Rebecca Newell. Reservations are recommended and can be done by calling The Beehive at (617) 423-0069. 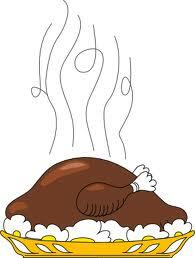 3) On Thursday, November 24, from 1pm-10pm, Beacon Hill Hotel & Bistro will prepares a multi-course holiday feast. The cost is $55 per person with an Optional Wine Pairing for an additional $29. A 20% gratuity will be automatically added to your bill. Reservations are highly recommended. 4) Bistro 5 will treat its guests to the flavors of Italy’s rarest and dearest truffle, the Alba Truffle, with a special tasting menu throughout November. Known for its enticing, intense and aphrodisiac scents, the truffle is a fruit with a varied flavor profile depending on where it is grown, and Alba is its most coveted harvest location. With this being an extremely tough truffle season for the country, the Alba Truffle is even less common and a lot more costly this year. Chef Ettore has decided to continue with his most popular tasting, however, keeping the prices unchanged and taking a personal hit in order to showcase a true delicacy he is passionate about. This menu will be available every Tuesday through Saturday, from November 1–November 31, from 5pm-10pm. The 3-course menu is $45 per person; $65 with wine pairings plus tax/gratuity. The 5-course menu is $65 per person; $90 with wine pairings plus tax/gratuity. What strikes me most about the above picture of ancient sake brewing are the happy workers, the smiles on most of their faces. Many of the workers are using long poles to mix the yeast starter, also called the moto or shubo, and waiting for the natural lactic acid in the air to fall into the tubs. This is referred to as the kimoto style and was the predominant method until the start of the twentieth century. Around 1909 A.D., the sokujo method became the norm, where a pure lactic acid was added to the moto, rather than waiting for what naturally existed. This saved time and effort, as well as being less risky. But there are still some breweries that practice the traditional kimoto style, and it is actually one of my favorite styles of sake. The kimoto style is very labor intensive, and monotonous, yet the workers depicted in the picture are apparently happy, taking pride in their labors. They understand the artisan nature of their work, and look forward to the wonderful sake that will be born of their labors. Such workers even sang while they worked, special brewing songs called sake-tzukuri uta. Not only did these songs help to relieve the monotony of some of their work, but they also assisted in proper timing, just as ancient mariners used music to help the timing of their rowers. This picture, and three similar ones, are located on an exterior wall of the SakeOne kura (sake brewery) in Forest Grove, Oregon, about 25 miles west of Portland. As you enter the brewery, you cannot but help to think of these workers, their ancient brewing methods, and the artisan work that was once done. It is very inspiring. When I realized I was going to visit Portland, I knew that I had to visit SakeOne. How could any sake lover not want to visit a sake brewery? Plus, I was familiar with many of their sakes, though it had been several years since I had drank many of their Momokawa products except for their Organic Nigori. In fact, at a number of the sake tastings I have held during the past year, I selected their Organic Nigori as one of my choices. I remained in Portland a couple extra days after the Travel Oregon press trip so that I could visit the brewery. Dewey Weddington, the Vice President of Marketing for SakeOne, personally led me on a tour of the brewery, as well as showing me some of the other sake sights of Portland (which I have previously written about). Dewey was a fine host, personable and down to earth, and he allowed me access to all part of the brewery as well as leading me through a tasting of their domestic sakes. The history of SakeOne extends back almost twenty years. In 1992, SakeOne, under the name Japan America Beverage Co., established a partnership with Momokawa Brewing Japan, a Japanese kura which has been producing sake since 1889. They began as an importer but eventually constructed their own brewery and in October of 1998, changed their name to SakeOne. Toji, sake brew masters, from Momokawa assisted in the design of the brewery. In addition, Yoshio Koizumi, the Executive Managing Director and Chief of Production of Momokawa, trained the SakeOne brewer, Greg Lorenz. Unfortunately, I did not get to meet Greg as he was away during my visit. I did though get to meet Juan Hernandez, the Assistant Brewer, and watched him at work during part of the production process. He too was personable, showing me some of their work, and it was obvious the care with which he invested in the brewing process. After much testing, the people of Momokawa felt that the water of Oregon most closely resembled the water they used in Japan. Many areas in Oregon, including Portland, are supposed to have very pure drinking water, which would help produce a better quality sake. In addition, the brewery's water goes through several filtration levels, to remove all unwanted materials, chemicals and microbes. It is said that sake is about 80% water so the quality of that water is extremely important. SakeOne does not use sakamai, sake rice, but instead uses a type of table rice, Calrose, which comes from the Sacramento Valley, in California. This rice was developed in 1948, and "Cal" refers to "California" while "rose" indicates it is a "medium-grain." It is a hard grain, and some has been grown specifically for sake production, with a larger shinpaku, the inner core where the starch is located. In Japan, much of their ordinary sake, the futsu-shu is actually made from table rice, though most, but not all, premium sake is made from sakamai. When the brewery receives its rice, it has already been polished by 10%, and then SakeOne uses its own machine mill to polish the rice about another 32% more, with a target of 58%. This means that all of their sake qualifies as ginjo grade, which requires at least 40% of the rice to be polished away. Their milling machine runs often, and is capable of milling to almost any rate, though the greater the milling, the longer it takes. For example, milling from 60%-50% takes twice as long as it does to get down to 60%. Having their own milling machine enables them more quality control over the final product. They would like to eventually produce daiginjo, the highest quality grade, and have been doing some experimentation, but have not yet been satisfied with the results. When you polish rice, the powder that remains behind is known as nuka, and it is not wasted. Nuka has numerous uses, from pickling to beauty products. SakeOne sells their nuka for cattle feed, and those cows are used to make Tillamook Cheese. Kasu, the sake lees, are also a byproduct of the brewing process and it is not wasted either. SakeOne sells their kasu to hog farmers, which is interesting as it still has a little alcohol in it. Wonder if that affects the taste of their meat? After the rice is polished, it will be washed and soaked, before heading off to be steamed. This is Juan Hernandez, the Assistant Brewer, getting ready to steam some rice. The rice is layered in 6 inches to provide sufficient room for the steam to reach all of the rice rather than just steam the outside. If the rice is stacked too high, the interior rice may not get sufficiently steamed. Some of the polished rice that has not yet been steamed. You can see how small it is, as about 40% of the rice kernel has already been polished away. The steaming has begun, which will take about an hour to complete. This box contains yellow koji-kin, a mold which will break the starch of the rice into sugars so that the yeast can ferment those sugars. The steamed rice is now fed onto a conveyor belt where the koji-kin will be sprayed upon the rice. That conveyor belt ends in the koji-muro, the cultivation room, where the koji will begin to transform the starch. The rice will eventually be spread out the length of the table. SakeOne uses foamless yeast, called awa -nashi kobo, which has some advantages over regular yeasts. As they generate much less foam, a brewer saves time cleaning the foam out of the tanks and can also brew more sake in the tank. With normal yeast, about 1/3 of a tank will get filled with foam but the foamless yeasts will not waste all that space. The above is a Yabuta press, which resembles an accordion, is used to separate the fermented sake from the lees. Each of the panels is a fine mesh, which prevents the lees from getting through. To make nigori, the mesh panels usually have larger holes, allowing some of the lees to pass through. Fermentation tanks and holding tanks. Now, onto the tasting room, which is located across the parking lot from the brewery building. The tasting room and gift shop has a long counter where you can sidle up and try numerous sakes, including a couple that are on tap. If not tasting, you can peruse the store shelves, viewing what is for sale, from t-shirts to sake books. They sell several t-shirts and I love, and own, one of the "Drink Sake Not Bombs" shirts. Down with Sake Bombs! They also sell some ochoko and tokkuri, sake cups and flasks, as well as a few sake books and other accessories. The Momokawa brand has seen a recent aesthetic change as the labels have been redesigned. The new labels, pictured above, do seem a bit brighter and more modern, almost an abstract piece of art. The labels are also intended to be more consumer friendly, more descriptive instead of possessing technical terms like the Sake Meter Value. One of their primary goals is to introduce more consumers to Sake, as well as to cater to the American palate. SakeOne produces about 75,000 cases each year, and bottles are generally sold as 750ml or smaller bottles of 300ml or 375ml. Many of their sakes, for a 750ml bottle, only cost $12 or $13, making them very affordable, and usually less expensive than imported Japanese sakes. One of the reason Japanese sakes are often more expensive is that there is an increased cost for imports, an extra cost that domestic sake does not incur. In addition, SakeOne's cost for rice is probably less than it is for Japanese breweries using sakamai, especially types like Yamada Nishiki. Rice is often one of the most expensive costs in producing sake. The low cost of the Momokawa line makes it a good choice for someone new to sake or for a party if you need plenty of inexpensive bottles. We need to remember that SakeOne has only been making sake for 13 years, but that they continue to learn and improve all the time. The Momokawa I drank ten years ago is definitely not the same as the Momokawas I tasted at the brewery. The quality has improved during this time as the expertise of their sake brew master has increased, their equipment has been refined and other lessons have been learned. And each year that passes, the quality will continue to improve. It was actually fun to taste through their current portfolio, to reacquaint myself with their sakes and to assess how they have changed over the years. Overall, I was pleased with their sakes and believe they offer a good value for the price. They offer an excellent way to introduce new people to sake, especially with their infused sakes. Based on my experience to this point, I feel SakeOne is producing the best domestic sakes in the U.S., though I have not yet tasted the sakes of Moto-i or the Texas Sake Company. But, Moto-i is only about three years old and the Texas Sake Co. just opened last month. SakeOne has much more experience than either of these breweries. The Momokawa Silver ($12) is noted as a "Dry Crisp Sake" and has dry, clean flavors with tastes of melon and green apple. It is simple and pleasant, a nice introductory sake. The Momokawa Diamond ($12) is noted as a "Medium Dry Sake" and has a very nice aroma of floral notes and tropical fruit. On the palate, it offers some tropical fruit and citrus flavors, and seems a softer, though still dry, sake than the Silver. The Momokawa Organic Junmai Ginjo ($13), noted as "Medium Rich," possesses even more tropical fruit flavors as well as underlying spice notes. It is crisp and dry, and very satisfying on the palate. The Momokawa Ruby ($12), noted as "Lightly Sweet," does seem to have a light sweetness to the taste, with more red fruit flavors as well as touches of melon and pear. It is rounder and more rich in the mouth. I have previously reviewed their G Joy sake so there is no need to repeat that here. For the price, you won't go wrong with any of these very approachable sakes. I tasted a Special Edition sake called "Cloudless Sky,"which was a Nigori, having sat on the lees for four months, but the lees were then removed. So it went from being a "cloudy" sake to a "cloudless" one. This is the first time I have ever tasted such a sake and it was interesting, with tastes of canteloupe and melon, but with a more herbal finish. The Momokawa Pearl ($12) is a more traditional Nigori, sweet, thick and creamy with a prominent coconut taste. The Momokawa Organic Nigori is a thinner, less sweet sake with more restrained tropical fruit flavors. It has been very popular at the sake tastings I have held. They have a tap where they can offer two draft sakes. The Nama Organic Junmai was maybe only a week old, and had an enticing nose of fresh fruit, and on the palate was crisp and lively. Plenty of delicious apple, pear and hints of tropical fruit. I was very impressed. I also tasted some Plum Infused Sake, with added carbonation, from the tap, which was only mildly sweet and was rather refreshing. Would be a fun summer drink, or to add to a cocktail. I tasted through their fruit infused sakes, the Moonstone line, which are intended to introduce newcomers to sake, to be a gateway to other sake. I would agree these are very consumer friendly products, and would also be great used in cocktails. These flavors include Asian Pear, Raspberry, Plum and Coconut Lemongrass. The Momokawa Silver is the base for these sakes, and they are generally sweet, though not overly so. My favorite was the Coconut Lemongrass, and I would love to try it in some Pina Colada style cocktails. If you are in the Portland area, you definitely should visit the SakeOne kura, sake brewery. Their sakes are available all over the U.S. and it is well worth checking them out, especially at their price point. If you tasted their sakes years ago, but have not tried them recently, then give them another try. Consider using their infused sakes in cocktails, or give them to someone who claims not to enjoy sake and see what they think. Rant: Where Is The Roast Chicken Love?